When it comes to jewelry in Zelienople, its a family affair. The Mathew Family has been providing Western Pennsylvanians with high quality jewelry dating back to the early 1900’s. The family vocation got its start with Andrew Mathew Sr, who was a watchmaker in Pittsburgh at the turn of the century. As was common at the time, Andrew took his family on road trips north to Lake Erie in the summers. While traveling Route 19, Zelienople’s downtown became a stop along the way and, like so many others, Andrew found himself drawn to its charm and began to consider life in this idyllic rural setting. After World War II, Andrew Sr retired to Florida- but the idle life did not sit well with him. He needed to be back in the business that he loved. Andrew moved back to Pennsylvania in 1946, found a vacant store right on Main Street (Route 19) and called Zelienople home for the rest of his days. 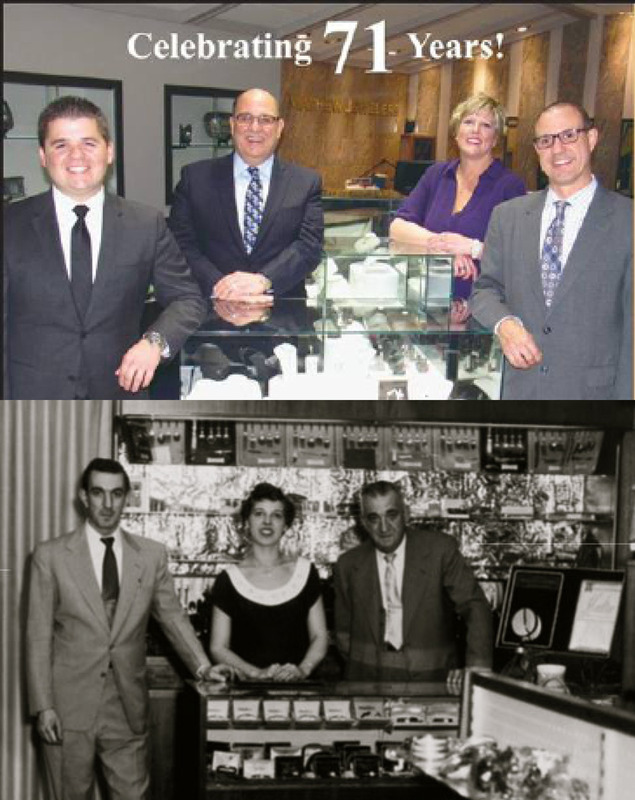 Mathew Jewelers opened in 1947 at 122 N Main Street and is celebrating 71 years as a family run business. In 1957, Andrew Mathew Jr. took over and expanded the business from a nine-by-nine storefront to a 2,500 square foot showroom stocked with fine jewelry, timepieces and gift items. The Mathew Family still takes pride in providing personal service and exceptional jewelry. Taking the spotlight at the stores is Mathew Jewelers Designs, a unique line of the highest quality custom jewelry and a great selection of Bulova watches. Today, Mathew Jewelers has two locations: the main store in Zelienople – which is home to in-house jewelry manufacturing shop, employing two full time goldsmiths– and second store in Cranberry Township. Both locations feature many top designers as well as our own Mathew Jewelers Designs. Siblings Drew, Shelly, and Phil are the proud 3rd generation of the Mathew Family. They, along with Drew’s son Spencer- have made Mathew Jewelers a four generation success in the community they all call home. 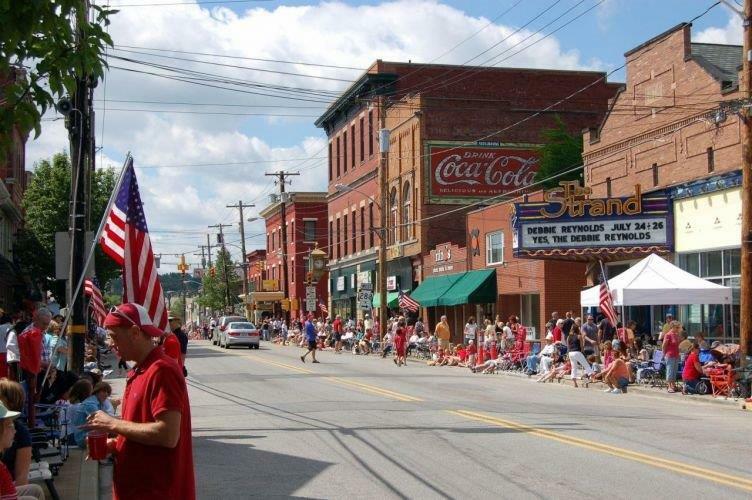 The Mathew Family’s roots are strong here, Drew serves on the Borough Council and Explore Zelie board, Spencer is a volunteer firefighter, Shelly is a gracious host during the annual Horsetrading Days and Phil loves the walkability of this traditional setting. For 71 years the Mathew Family has embraced the community of Zelienople, and the community has returned the gesture. We celebrate their efforts and commend them on their journey. A sense of community comes easy in a town like Zelienople because as Shelly Mathew put it best, “everyone is welcome everywhere”.